Being a Nikon Ambassador is, without question, the biggest honor of my career. I've been shooting the Nikon brand since I began shooting, and in 2013, Nikon announced their Nikon Ambassador program. They describe the ambassadors as "some of the most talented and influential visual artists working in the business today". "As the top photography artists and visual storytellers of this era, these contemporary photographers' advanced techniques, unprecedented creativity and tenacious approach to imaging solutions is demonstrated assignment after assignment, each and every time they pick up a Nikon Camera". You can view my Nikon Ambassador profile here. 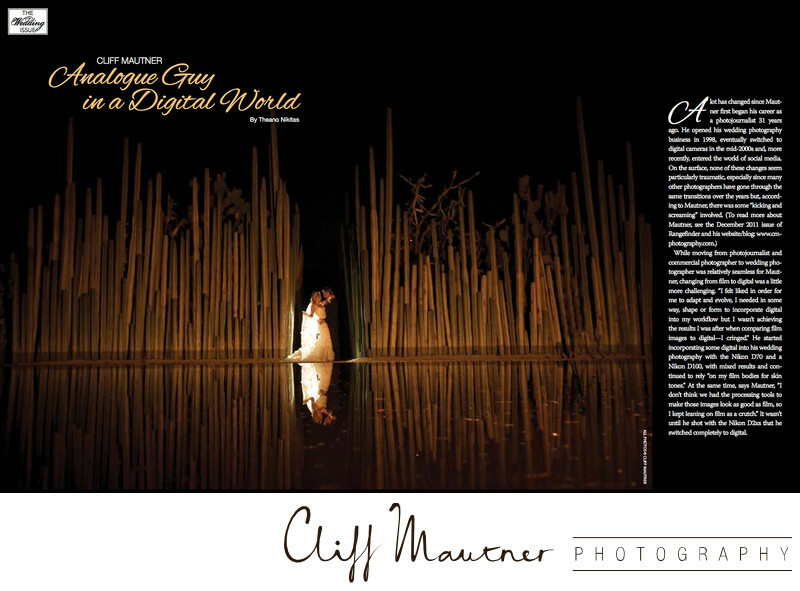 American PHOTO magazine named me one of the Top 10 Wedding Photographers in the world. It was an honor to be listed amongst such an incredible list talented photographers. Based on comparisons to other wedding photographers from all over the world, American PHOTO magazine's editors believed that my work was among the top ten. It was an incredible honor, to say the least. You can read the feature here. 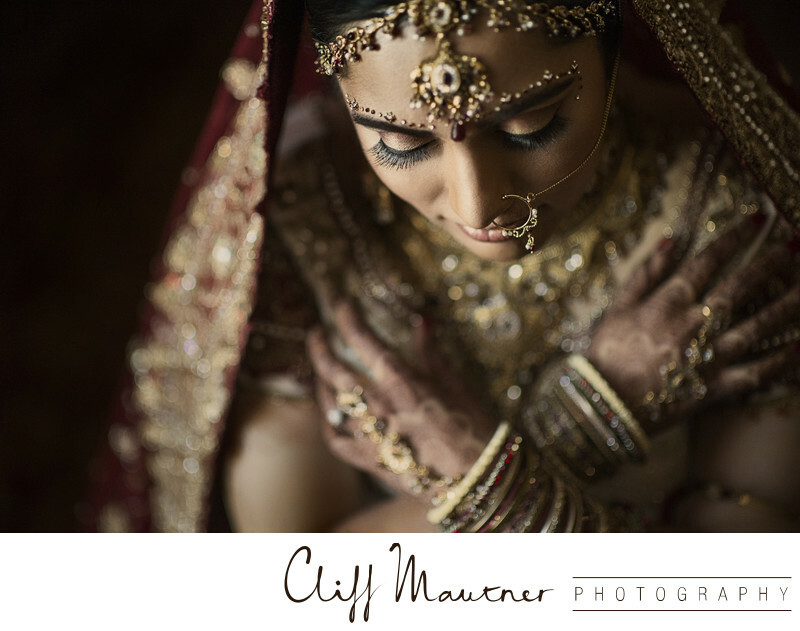 This honor recognizes the individual photographer who has contributed the most to the world of wedding and portrait photography in profound ways. Their imagery, educational influence, and the level of work they consistently produce for their clients are just a few of the qualities sought after when considering this honor. 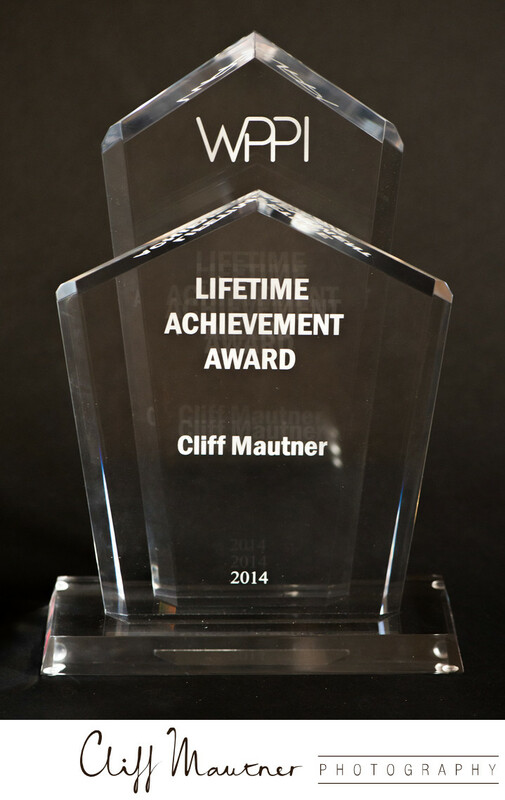 This award, given annually to one individual at the Wedding and Portrait Photographer's International convention in Las Vegas NV, is an honor bestowed upon those who have succeeded at the highest level of the craft. The award represents artists who have been leaders within the industry, and have been exemplary role models with regard to artistry, ethics, and educational contributions to the world of photography. 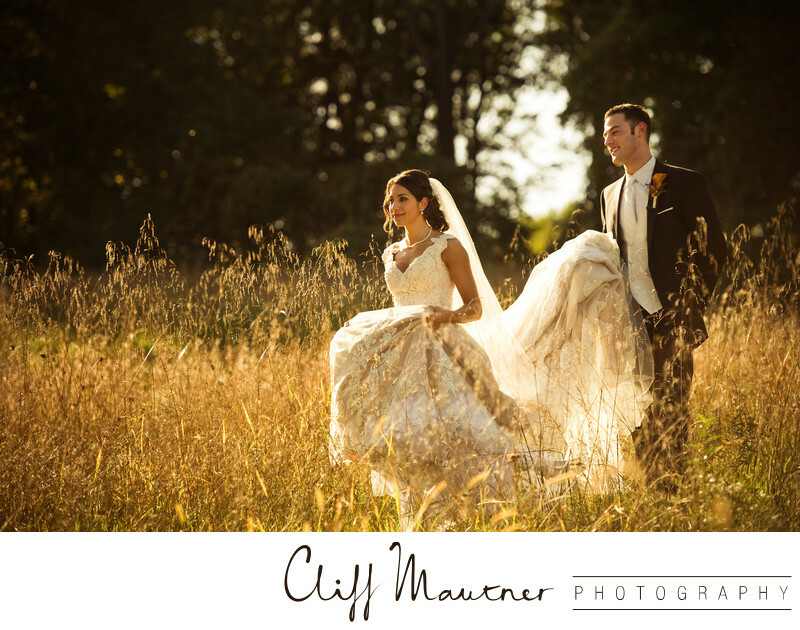 Their influence to wedding and portrait photography is recognized with this award. The WPPI Annual 16x20 print competition is the most valued photography competition in the world of wedding and portrait photography. Year after year, this competition sets the standards for the state of the art in the respective genres. More than 3300 submissions from more countries than I can list were judged in Las Vegas kicking off the 35th annual Wedding and Portrait Photographer's International convention. There were truly some incredible images entered, and I was honored to win 1st place in the wedding photojournalism category, and also the top award- The Grand Award for Photojournalism. This is the 2nd time I've won this, and it's simply an embarrassment of riches. My first Grand award from 2009 was a powerful moment. It was a bride and groom paying respects to his grandparents at their church's cemetery. Moments like this are rare, and I'd wondered if I'd ever witness another image with as much impact. Of course, I totally realize that these things mean more to photographers than future brides, but I have to admit that it was tremendous honor. 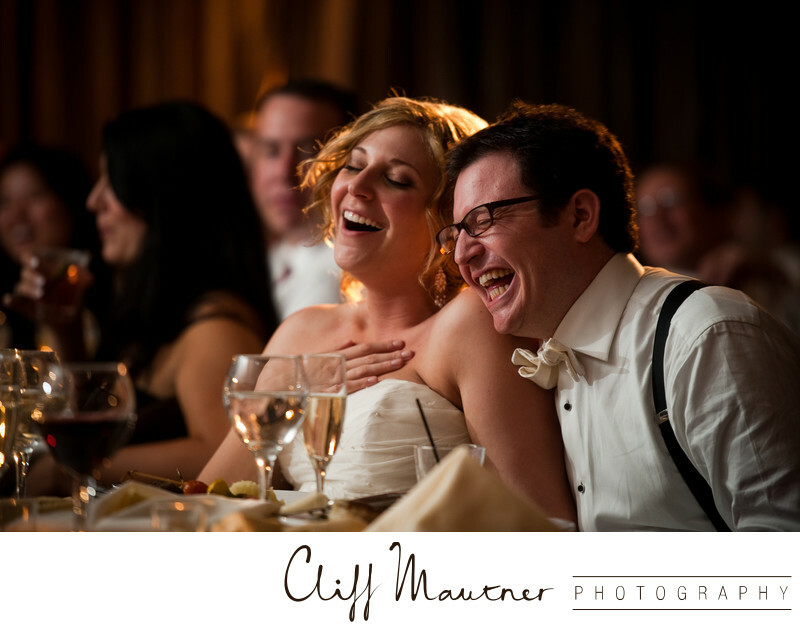 I called Erika, the bride in this image, to thank her for giving me this moment to capture. She explained to me that this home had been damaged in a fire, and it was important for her to give her father a moment like this- a first look of her coming down the stairs in his home. 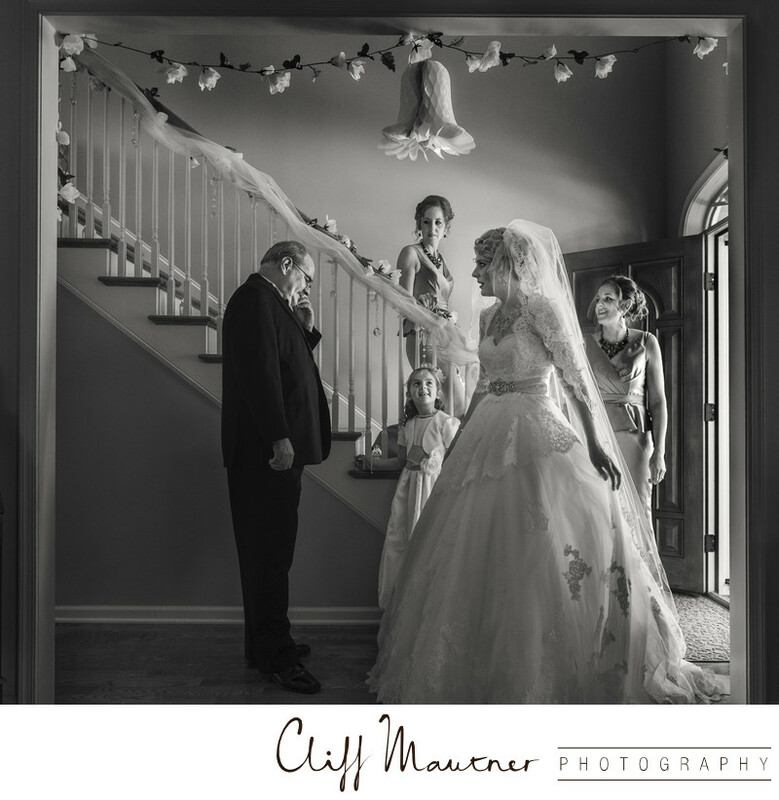 In many traditional American Christian weddings where a bride prepares for her wedding at her home, it's common for them to have her father waiting for her at the bottom of the stairs. I had concerns about my ability to capture this moment because of the lack of space between the steps and the front door. I decided to shoot this from inside the living room- thereby using a frame within a frame. I take great pride in never staging a moment like this, and it's rare that all of the elements fall into place the way this did. Her twin sisters followed her down the stairs along with her niece, and her dad, normally a stoic man, was really overcome with emotion. My wife, Susan, was observing the judging and texted me when the photo was being judged. I was on a break from judging in another room, and I stood in the back of the Photojournalism room as my image was being discussed. Those judging the image compared it to a Norman Rockwell illustration that depicted an American wedding. They believed the photo told a story of a father who may have been crying in front of his daughters for the very first time. After speaking with Erika, she told me that's basically what happened. The four ladies were a bit stunned at dad's reaction, and they were literally reacting to his reaction! I was able to fire off one single frame with this composition. This happened so fast, yet I thought I'd made something pretty special at the time. I wasn't sure until later that evening after I had downloaded the images. One frame-one decisive moment- and it was gone. The only thing I did was put myself in the right place at the right time, and the rest was all about my client. 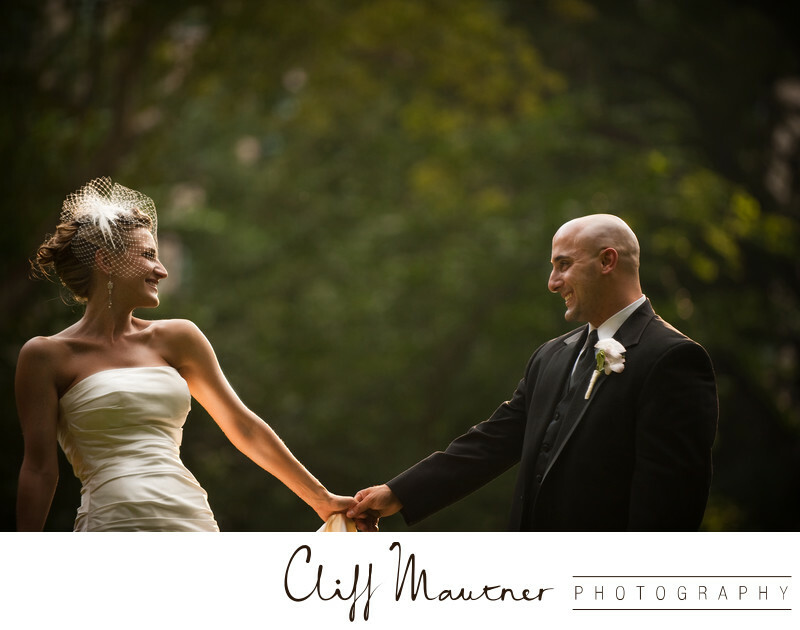 I'm incredibly grateful to Erika, Stephen, and her families for the privilege of capturing their day. After all, we're only as good as our clients. It's always a terrific honor to be written up on the industry's top trade publications. Rangefinder Magazine, run by Wedding and Portrait Photographer's International, has done several features on me over the years. Being a photographer that has seen so much change throughout the industry, they thought it would be an interesting idea for me to chat about how the craft has been effected by so much change over the past decade or so. The title of the article, "Analogue Guy in a Digital World" was pretty funny. It's basically a story of evolution and creativity, and how a the creative endeavor is something that never ends. Continued exploration, education, and motivation are things a creative professional always must search for. You can read the entire article here. One of the enormous privileges of working with the Nikon corporation is their global reach. I'm incredibly humbled when I see my name featured with the greatest image makers in the world, not just the United States. I'm a great admirer of so many of the photographers such as Ami Vitale, Bill Frakes, Rob Van Petten, and film maker Corey Rich. 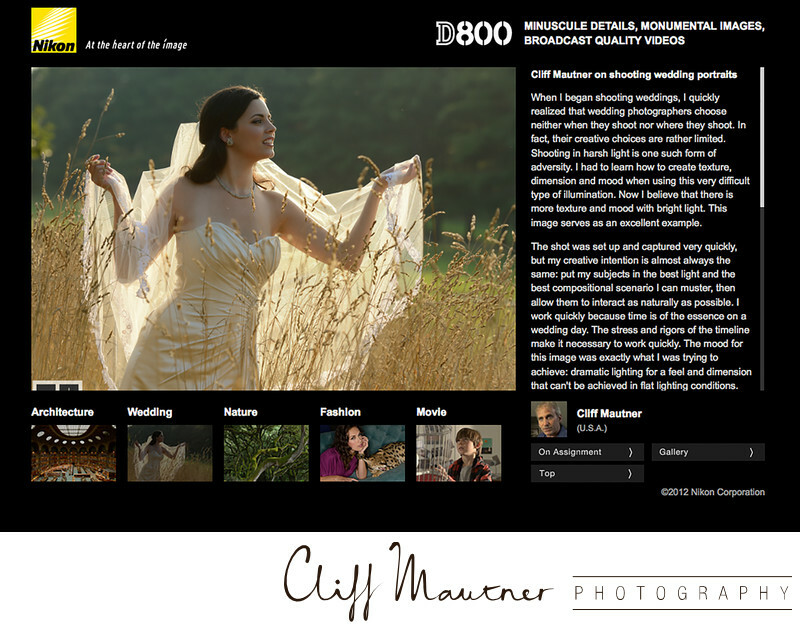 This feature was produced while I was involved with the Nikon D800 global ad campaign, and it displays some heartfelt video of me describing my thoughts about the technology and the craft. You can read the entire page and view the video here. 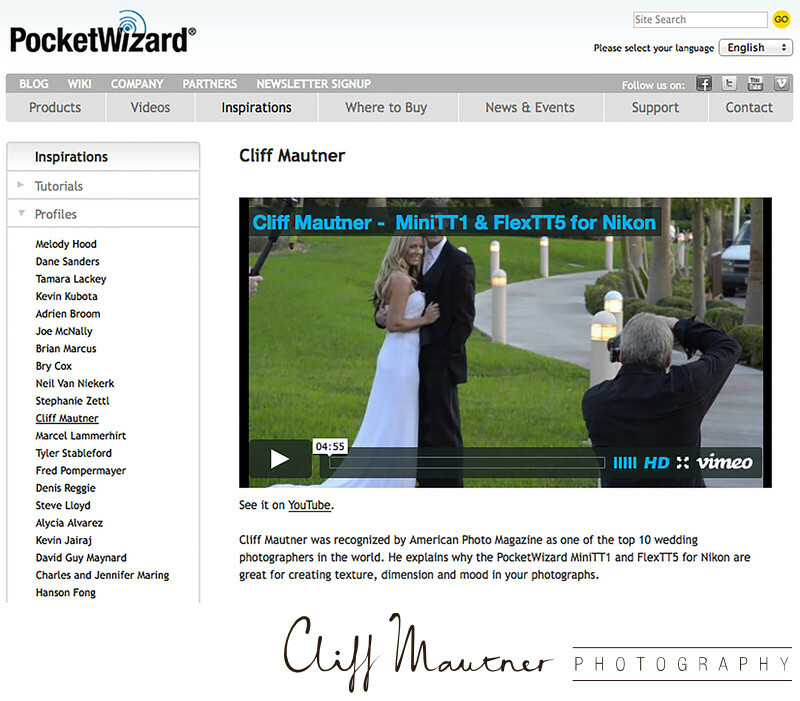 In the article titled " Wedding Photographer Cliff Mautner Offers Tips in Nikon's "Behind The Scenes" Video Series", Shutterbug online profiles one of my Behind the Scenes video for Nikon USA. In this video, I demonstrate how I document a wedding day, from bridal portraits to reception shots, tough outdoor light to indoor light. You can read the article here, and view the video below. In 2013, I was a guest on The Grid : Episode 84 with Scott Kelby and RC Concepcion. We talked about ten things a photographer can do to create a successful portfolio. To watch this episode of The Grid, click here. 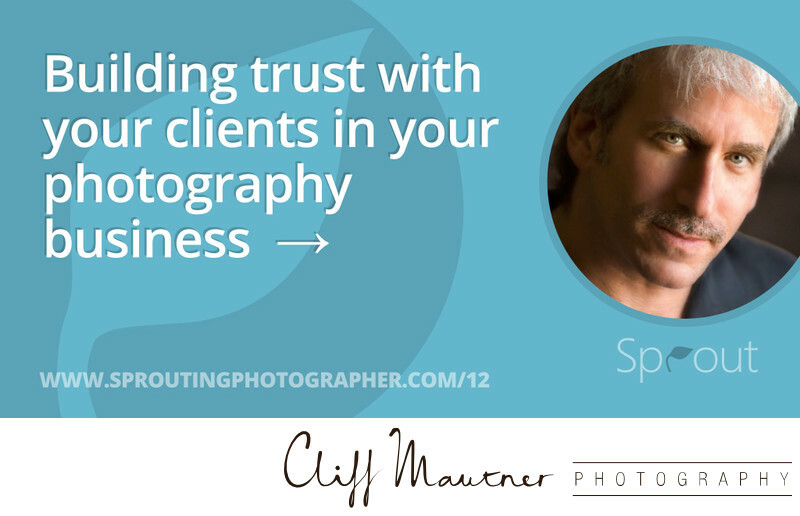 In 2014, I was a guest on Sprouting Photographer's podcast. We talked about the importance of building your skills, creating an excellent customer experience, and how to best build trust with your clients. You can listen to the podcast here. Back in 2007, I began teaching the Lighting and Skillset Bootcamp from my studio in Haddonfield NJ. The workshop is designed to empower photographers with the skills necessary to acquire a style of their own. I'm amazed at the growth and the international response of the Lighting and Skillset Bootcamp. Attendees are traveling from all over the world. This past year we've had students from Canada, Japan, Brazil, Saudi Arabia, Switzerland, New Zealand, Mexico, Indonesia, Australia, Fiji, Costa Rica, Hong Kong, Argentina, Panama, Dubai, a slew of European countries, and a U.S. contingency from coast to coast! This June 2014 article by Theano Nikitas, featured on Photo.net, is a wonderfully kind review of my Lighting and Skillset Bootcamp. You can read the article here. Whenever the company that manufactures a key tool in my bag asks if I'd represent their brand, it's always a tremendous honor. I've been using Pocketwizards, a radio frequency trigger for my flashes, for many, many years. It's designed to fire my flash wherever it may be, and no cords are needed. I'm also able to control the power of that flash with these particular Pocketwizard models. The folks at Pocketwizard asked that I demonstrate how I incorporated them into my workflow so other photographers could get a glimpse of how they're used. I was featured on Pocket Wizard's website demonstrating the PocketWizard MiniTT1 and FlexTT5 for Nikon. You can read the profile here. In 2008, Shutterbug wrote an article about my approach to portraits on the wedding day. It's a great article explaining how I try to step outside the box to look for unique lighting scenarios, and find different, alternative locations when photographing brides and grooms on their wedding day. You can read the article here. An in depth article that steps away from the typical advice for photographers that concentrates on a photographer's technical skills, anticipatory abilities, and their lighting techniques. The article dives into the approaches taken when the lighting and other factors may challenge a photographer's skillset. It also discusses how to capture some of the more common events during the wedding reception, but it focuses on how to make them look more interesting. It's a well written piece that provides great advice on capturing unique reception images during some common reception events. You can read the entire article HERE. Rob Galbraith is a photography expert whose technical knowledge is well documented. 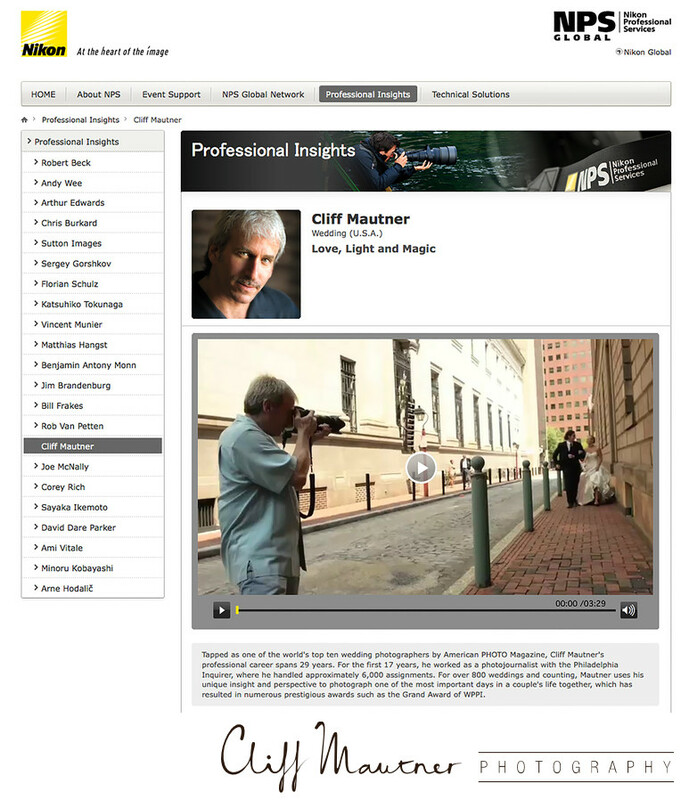 His equipment reviews and his general photography information have informed photographers all over the world for many years during the digital revolution. In 2011, a wonderful article about my approach to wedding day photography was published on RobGalbraith.com. This article will take you through how I shoot a wedding, as well as how my studio processes the images after the wedding. It's a fantastically in-depth piece, and you can read it here. 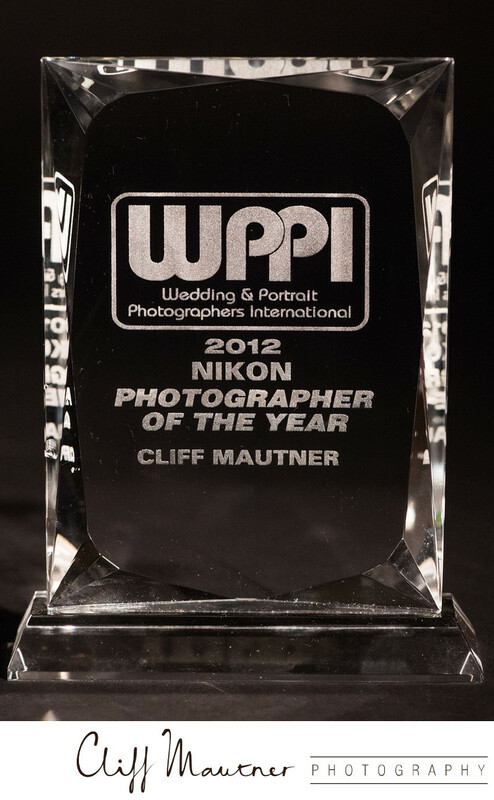 In 2012, I was presented with the Wedding and Portrait Photographers International photographer of the year award. This honor was given to me at the WPPI Conference in Las Vegas, and this article from Photoshop Insider is a very kind thank-you from the Kelby team. Whenever I have the opportunity to share my experiences with other photographers, I jump at the chance. I'm very flattered when people are interested in my humble beginnings, and how I've evolved photographically over the years. The Lonely Photographer's Podcast is a growing informative and entertaining podcast for the emerging photographer. I really enjoyed doing this interview. Carey and Kelly are quite knowledgeable, and they asked some great questions. i really believe it's worth listening to. 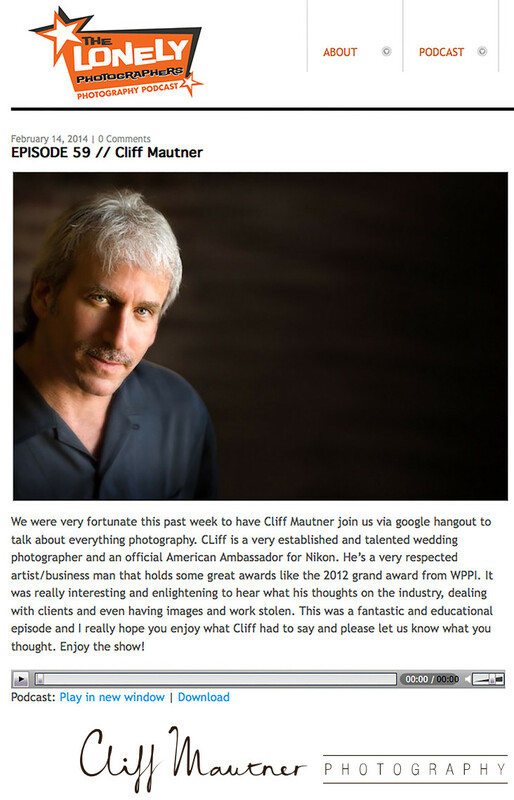 In 2014, I appeared on episode 59 of The Lonely Photographers Photography Podcast. It's a very free flowing format, and the subject matter tends to touch upon many different areas. You can read the article and listen to the podcast HERE. This article from Nikon NPS excellently details my approach to wedding day photography, as well as includes a video of me at work. You can read the article and watch the video here. In 2014, I was interviewed on Mimika TV, a popular webshow featuring entrepreneurs in creative fields. You can view the interview here. In 2011, I was featured in Rangefinder Magazine. 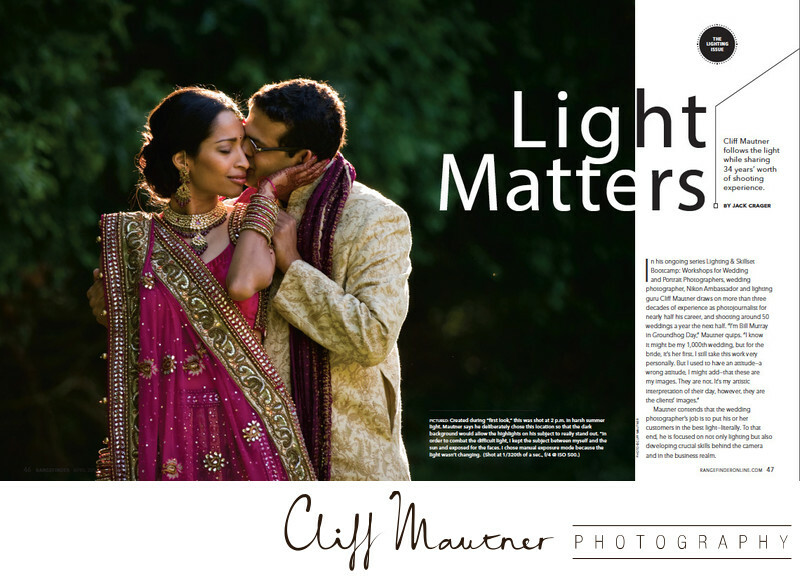 The article, entitled "Cliff Mautner On Creativity and Light", is an honest, in-depth exploration of my wedding photography business and creative approach. It also opens up my gear bag and shares what I take to each and every wedding. You can read the article here. These two features on Style Me Pretty are great examples of two beautiful, and very different weddings. The first wedding, which you can view here, took place the National Museum of American Jewish History, with the portraits taking place in Washington Square Park. The second wedding, which you can view here, took place in stunning Oaxaca, Mexico.